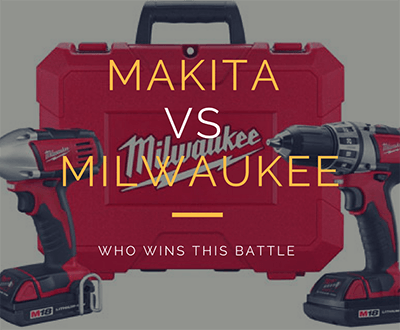 You are here: Home / Drill Wars / Makita Vs Milwaukee Cordless Drill – Who Comes Out on Top? The Milwaukee 2604-22 M18 Fuel Drill Kit boasts advanced technology capable of boosting performance. For this reason, users can count on this tool to handle demanding projects. It provides adequate power yet it’s available in a compact size. The unit combines both the hammer drill and driver functionality and leverages the innovative Redlink Plus technology to protect against overloading while enhancing performance. 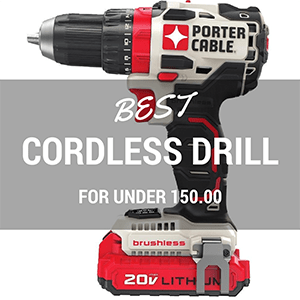 It is undoubtedly one of the best cordless drill options available to buyers. The Redlink Plus feature ensures optimal operation by providing a link between different components, such as the charger, the battery and drill. The unit is fitted with a brushless motor and it draws power from a battery, which relies on the Redlithium technology to help users maximize productivity. The motor has the capacity to deliver up to 725 pounds of torque, thus making it easier to handle heavy-duty drilling tasks both at home and at work. The drill is a good choice when looking for a machine that provides equal parts reliability, power, durability and prolonged battery use. It’s designed to detect and counteract over-discharge, overheating and overloading. This helps set the Milwaukee M18 Drill Kit apart from other tools in its class. It comes as no surprise that many users are turning to the M18 range to boost productivity. Provides a aggressive amount of torque. Hammer setting may reduce the working time before recharging. The Milwaukee 2604-22 M18 Fuel Drill has the capacity to provide ten times longer motor life thanks to the brushless mechanism. The product has a lightweight frame that reduces strain on the hands when working on demanding DIY or professional tasks. The unit also provides much-needed versatility, two times more running time due to the proprietary Redlithium battery technology. The battery pack boasts an extended working capacity as it delivers optimal power per charge. The efficient power delivery and over-discharge protection combine to provide more pack life than other hammer drills or drivers available to buyers on the market. The battery system also features an integrated fuel gauge designed to monitor the rate of charge. The function contributes to reduced downtime on the job site. Users can take advantage of 25 percent more power from the drill. Q: Can this unit’s chuck hold drill bits firmly? A: Yes, the Milwaukee 2604-22 can maximize grip on drill bits of varying sizes. However, 1/16 drill bits or smaller can loosen up when drilling into harder materials. Q: How much torque can I expect from this M18 fuel unit? A: It delivers an impressive 725 pounds of torque. Q: Is the Milwaukee M18 Fuel Hammer Drill a contractor-grade tool? A: Yes, it is powerful and sturdy enough to qualify as a contractor-grade unit. One of the Milwaukee M18 unit’s strengths is the use of advanced technology to enhance functionality. I am impressed with its ability to regulate functions with the aim to prevent overheating, over-discharge and overloading. This helps solve common issues faced by both professional and DIY users. The kit comes with a number of accessories, including a multi-voltage charger designed to work with all M12 and M18 lithium-ion batteries. The kit is a heavy-duty option that can help users with varying project needs to complete tasks with ease. It is a must-have in any workshop thanks to its versatility, superior performance and power. From construction work to weekend do-it-yourself tasks, the M18 unit is designed to improve efficiency while minimizing maintenance requirements. Although the drill/driver is compact and lightweight, it still packs a punch in the power department. It incorporates a side handle and stylish carrying case for added convenience. The extended capacity battery pack has an 18-volt rating. 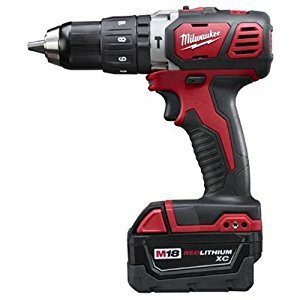 On the other hand, the Milwaukee M18 Drill’s manufacturer offers a reasonable five-year warranty for this powerful cordless drill. The half-inch chuck keeps drill bits firmly in place using an innovative ratcheting lock. The chuck has a metal frame and a single sleeve to ensure durability and optimal functioning. The unit is priced on the high side. With a weight of just 10.49 pounds, the Makita XFD10R is designed for superior performance and handling. It promotes portability, which is vital when working on remote job sites. The product has the capacity to resist contamination by the elements, including dust and water. It relies on the Extreme Protection Technology (EPT) to achieve this objective. Users can venture into harsh job sites with peace of mind knowing that the drill will continue working properly despite exposure to dust or water. The unit comes with two-speed transmissions from which to choose the ideal settings. These include 0-600 and 0-1900 revolutions per minute (RPM). The options enhance versatility for users. Also, the drill offers a number of adjustment features that enhance flexibility. The features include bit adjustment, speed control and LED adjustment. The unit’s clutch helps stop the machine by disengaging from the drive train after reaching a certain level of resistance. This is aimed at allowing the user to fasten two objects without stripping any screws. In addition, it prevents bottoming out while fastening objects. Multiple clutch settings are designed to maximize control over the depth of the screws. Q: What are some of the accessories included with the kit? A: The kit includes a charger, a carrying case, a belt loop and an extra battery. Q: How much torque can I expect from the Makita XFD10R? A: It delivers 480 pounds of torque, which is sufficient for most projects. Q: Is this drill ideal for daily use? A: The Makita XFD10R is a heavy-duty unit capable of handling regular use. The Makita XFD10R I8V Compact Drill is a high-quality option that attracts positive reviews from satisfied customers. It provides a superb battery life and fast recharge time, which enables users to minimize downtime. It also provides a comfortable grip thanks to the soft rubber that is designed to keep users working for longer without feeling hand strain. In addition, the product comes with up to 21 clutch settings to promote versatility. Users can adjust the drill to match specific project requirements. Many customers are impressed with the drill’s compact, lightweight yet durable design. The unit is fitted with dual LED lights that improve visibility when working in low light environments. When it comes to accessories, the XFD10R incorporates a stylish carrying case, a charger and a supplementary battery for added convenience. The best cordless drill products available on the market boast superior handling, balance, power, versatility and grip. The Makita XFD10R ticks all the right boxes. It is fast, efficient and powerful, which are key characteristics required by both DIY and professional users. The unit can handle demanding projects in sectors, such as construction. Its powerful motor delivers 480 pounds of torque to boost performance and reliability. 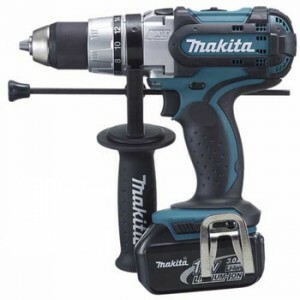 The Makita model is relatively faster than many drill/drivers in its class. Demanding projects require the best cordless drill that many can buy and users can count on this tool to get the job done. The Milwaukee M18 Drill Kit and the Makita XFD10R I8V Compact Drill are heavy-duty drills that provide superior performance. Each comes with a distinct set of pros and cons. Buyers can select the ideal unit based on specific drill requirements. The two products have the capacity to handle industrial jobs on a daily basis. While the Makita XFD10R delivers 480 inch-pounds of torque, its rival the Milwaukee delivers 725 inch-pounds of torque. As such, the latter is clearly the most powerful of the two cordless drills. On the other hand, both units are fitted with two-speed gearboxes. The Makita’s speed settings include 0-600 and 0-1900 revolutions per minute (RPM) while the Milwaukee offers 0-550 and 0-1850 RPM. However, the Milwaukee’s chuck is known to loosen smaller bits, which is not the case for the Makita XFD10R. The Milwaukee’s hammer function can run at 31,450 times per minute, which is impressive. The drill features a chuck with an all-metal ratcheting lock mechanism for a tight grip. Battery life — The Milwaukee reduces recharges by five times thanks to the Redlithium technology while the Makita drill has short recharging time of only 30 minutes. The LXT Li-ion battery is known for its efficiency. Maintenance – Buyers can opt for the Milwaukee’s brushless motor or Makita’s 4-pole motor depending on power and maintenance preferences. The brushless motor can provide longer run-time, thus significantly reducing downtime. 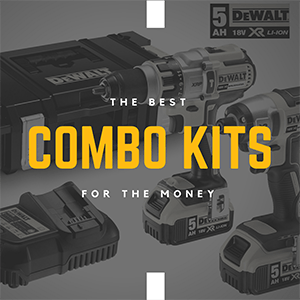 Accessories — Both units come with a charger, a carrying case and an extra battery while the Makita drill also offers a belt loop. The Milwaukee 2604-22 is designed to regulate overheating, overloading and over-discharge using its proprietary Redlink Plus technology. This gives it a distinct advantage over the Makita, which is relatively faster and more expensive than many drills in its class. When choosing the ideal cordless unit for your projects, consider key elements like power, handling, grip, maintenance, recharging time and range of accessories included. Most cordless drills have a power ranging from 500 to 1,300 watts. The greater the power of your drill, the more comfortable you will be when working on the hardest materials, such as concrete. It is necessary to dissociate the nominal power from the restored power; the nominal power is the power absorbed while the power restored is the power it delivers. Drill bits can be optimized for specific applications by combining different mixtures of alloying components. The proportions of chromium and cobalt promote the hardness and heat resistance of the drills. HSS drill bits are mainly used in the metal sector. For tough and hard metals (corrosion-resistant steels), cobalt-alloyed drill bits are used.